ABC's veteran skating director Doug Wilson asks, "How long, especially if you're live, are skaters sitting in kiss and cry and you're looking at their eyes and you're looking at their tears and you're looking at their emotions and you get to see what kind of people they are? You can see if they have grace under pressure, or if they're not as admirable." Those less-admirable attributes brought up by the media and grumbled about by the skaters include 1994 Olympic Silver Medalist Nancy Kerrigan's less-than-kind remarks about rival Oksana Baiul -- and about Mickey Mouse. Baiul's 1997 drunk-driving charges. 1995 U.S. Champion Nicole Bobek's arrest for felony burglary. Canadian Medalist Gary Beacom's jail term for failure to pay taxes. French Champion Surya Bonaly's romantic claims of being born on Reunion Island, despite being born in France. And U.S. Ice Dance Champions Punsalan & Swallow signing a petition to keep their main opponent, Russian-born Gorsha Sur, of Roca & Sur, from getting his American citizenship in time to challenge Punsalan & Swallow for the U.S.'s only 1994 Olympic berth. Punsalan & Swallow freely admitted their deed on television, then, stunned by the backlash their confession produced, blamed ABC for airing the segment, and refused to grant them anymore interviews for over a year. 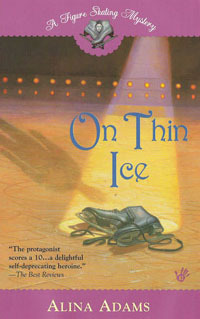 (In November of 2005, ESPN revealed that the mother of American David Mitchell had tried a simillar tactic to block the citizenship of rival ice-dancer Tanith Belbin). On the other hand, skaters are not adverse to using the press if it promotes their agenda. When, in 1997, Russian, World, and Olympic Dance champions Grishuk & Platov split with their coach, 1980 Olympic champion Natalia Linichuk, they chose to fight all of their battles exclusively in the press. In December 1996, Grishuk & Platov, having been off the ice for a majority of the season due to Platov's knee injury, allegedly travelled home to Moscow for a secret meeting with the Russian Federation. There, they sought a guarantee that they would win all the competitions they entered, leading up to the 1998 Olympics. The Federation told them they could provide no such guarantee. Grishuk & Platov then returned to their home-base in Newark, DE, to ask their coach, also coach of the 1996 World Silver Medalists, Krylova & Ovsianikov, to insure another year of victory for them by deliberately weakening the second team. When Linichuk refused, Grishuk & Platov split for Marlboro, MA, and Tatiana Tarasova, trainer of 1996 World Silver Medalist (and eventual 1998 Olympic Champion) Ilia Kulik. 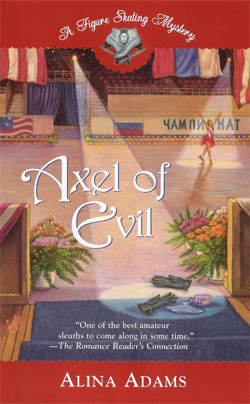 At the 1997 European championship, after Grishuk & Platov's new dances not only won them the gold, but also an almost record-breaking twelve perfect 6.0's (England's Torvill & Dean still hold the record of 17 6.0's at the 1984 Europeans), Linichuk tried to take credit for the stunning victory by claiming she'd participated in choreographing their new numbers. Grishuk categorically denied the contention, adding "Let God be her judge." God, or at least, the Russian media, who sided squarely with the skaters over their ex-coach, asserting in "6.0," the official publication of the Russian Skating Federation, "Linichuk did everything in her power to push Grishuk & Platov into the professional realm. This duo had already done their thing for her (won Olympic gold) and she was convinced it was time for them to leave." At the subsequent Worlds, the Ukrainian media got into the act, ruminating about their national champions, Romanova & Yaroshenko, who also trained under Linichuk, "One can only feel sorry for the athletes. Their mentor will never make champions of them. Linichuk always places her bets on the Russian athletes. As long as (Romanova & Yaroshenko) keep training with Linichuk, they will see medals hang only on the necks of their opponents." Within months of the media declaring Natalia Linichuk persona non grata of skating, the coach who, at the 1996 Europeans, saw a podium filled with only her skaters (Grishuk & Platov, Gold, Krylova & Ovsianikov, Silver, Romanova & Yaroshenko, Bronze) was down to one winning team. Heeding the advice of the Ukrainian press, Romanova & Yaroshenko also defected to Tarasova, chalking up another example of media coverage that didn't just observe, but affect. Nicole Bobek was no angel off the ice. 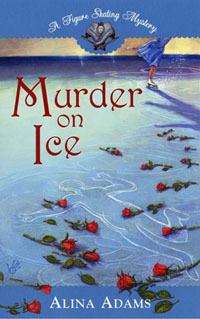 I had admired her from the living room like many other young men of my age wondering if the only way to meet a girl like Nicole Bobek was to actually become a champion ice skater or perhaps a World Cup hockey player with large sums of cash and rock hard abs, apparently all it took several years ago was a gram of cocaine and some beer money. Ya see, I was several years ago a party animal like many and I wasn't too shabby to look at, like most of us, and when the Nutcraker On Ice was in town I happened to run into Nicole Bobek and Rudy and the others at a rather fancy but openly sexual club just down the road from the coliseum where she had been skating. I won't say anything more other than I got to know Nicoles curves very well on the dance floor and a proposistion was made for a quid pro quo for a certain illegal substance. At the time I could not provide her request but she did give me a deep long lasting kiss and allow me to examine how in shape her buttocks where.